The Intervention module streamlines the referral process by connecting students in need to the right support services. The module allows educators to quickly assign services, track the fidelity, frequency, and efficacy of those efforts, and easily review and communicate progress or adjustment needs with stakeholders. The Intervention module helps narrow gaps in intervention efficacy with a streamlined referral process. From one convenient platform, educators can analyze past intervention efforts, assign new support services, and monitor program progress and success. 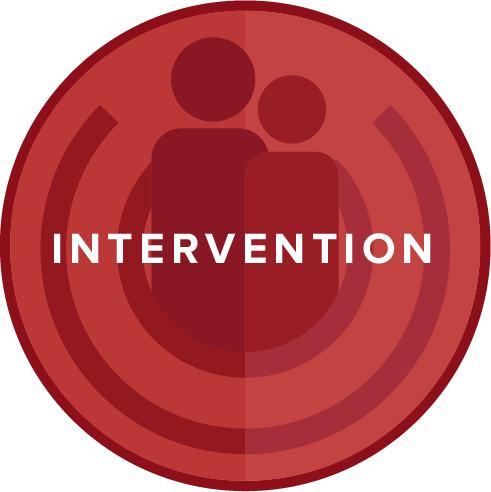 Learn more about the Intervention module! The Intervention framework consists of four domains that ensure all students receive the right support with fidelity.